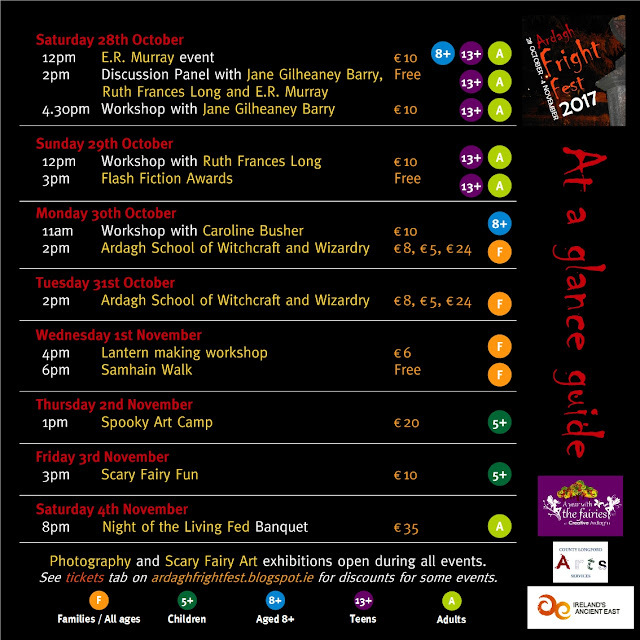 Ardagh Fright Fest returns for the third year with the support of Longford Arts Office. This year promises to be the best ever with a full line-up of events from 28th October to 4th November. We have something for every one with three days of fantastic literature events kicking off the week. This year we are joined by E.R. 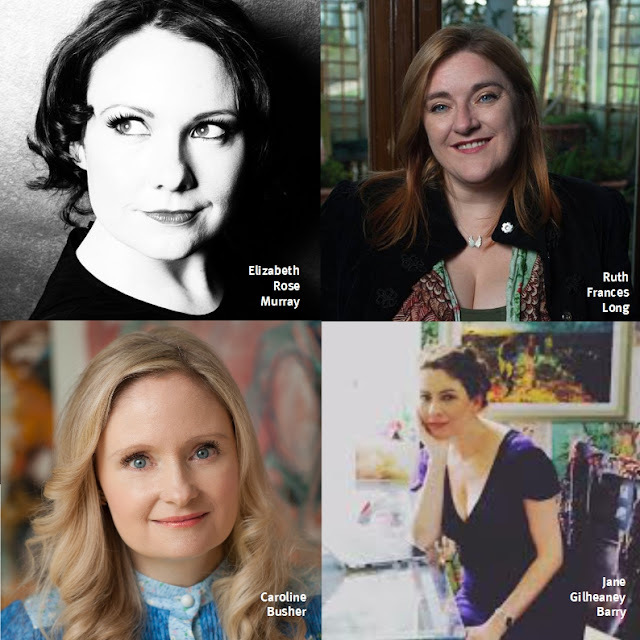 Murray, Ruth Frances Long, Caroline Busher and Jane Gilheaney Barry for a number of events for children, teens and adults. 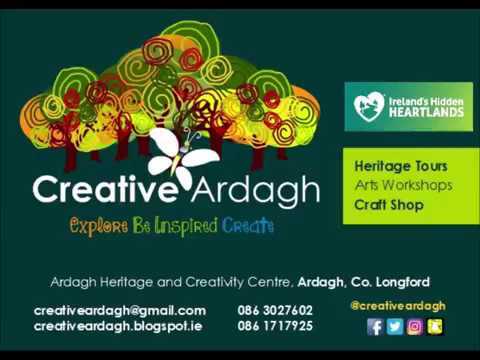 Favourites such as Ardagh School of Witchcraft and Wizardry, Samhain Walk and Spooky Art Camp return and we also will have visits from Ardagh Tree Fairies for some Scary Fairy Fun. The final event is The Night of the Living Fed Banquet with Cook n Dine Longford on Saturday 4th November. 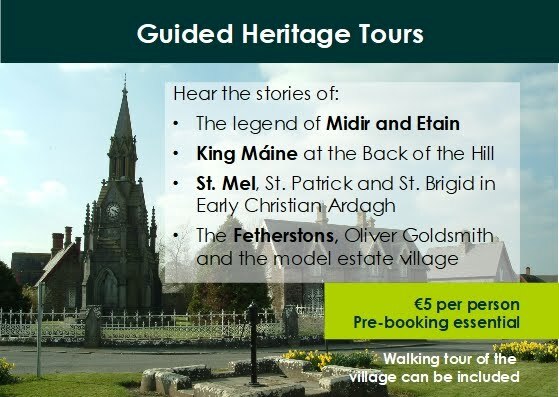 There's something for everyone as you can see in the at a glance guide below. Most events have limited spaces so book your tickets now.